Collecting things has been a passion and problem of mine for many years. Toy cars (Matchbox), baseball cards, then when I got older, rocks & minerals, electronics (new and used parts), radios, and QSL cards. Some of these collections are hard to manage (like rocks) and some are very easy (like QSL cards). QSL cards come from the ham radio shorthand for confirming contact. The cards have a history as old as radio itself. They acknowledge the radio contact and provide an independent confirmation. This proof is needed for awards like Worked-All-States (WAS) and DX Century Club (DXCC). DX means distance and especially a foreign country. Although there are now on-line logs for doing the same thing, a card provides hard copy with a greater amount of satisfaction. I have QSL cards from friends that I have worked on the air many times and the cards are a reminder of our friendship. Other cards, particularly foreign countries with few hams, are treasures that took more than a modest amount of effort to secure. Since I transmit at low power, I take pride in confirming a station that maybe many others have worked with 100 to 1,000 times more power. 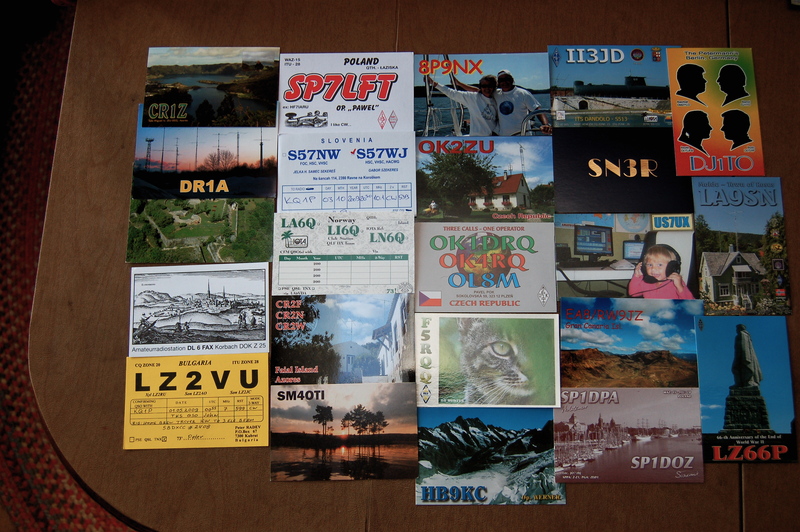 In this picture are a few of the interesting DX QSL cards that have arrived here recently. Each a reflection of the operator’s personality. The call signs are unique and each country has its own letters and numbers. For example, DR1A is Germany, SP7LFT is Poland, and II3JD is Italy. In this picture are some of my QSL cards from stations in the United States. All U.S. calls start with A, K, N, or W. I am KQ1P and formerly was WA1TVQ. Canada is VE, VO, and VY. In the middle is one historical QSL card from when I was a novice-class operator with my first call, WN2SCE. I am pretty sure I got my first license in the spring, so I was 15 years old. 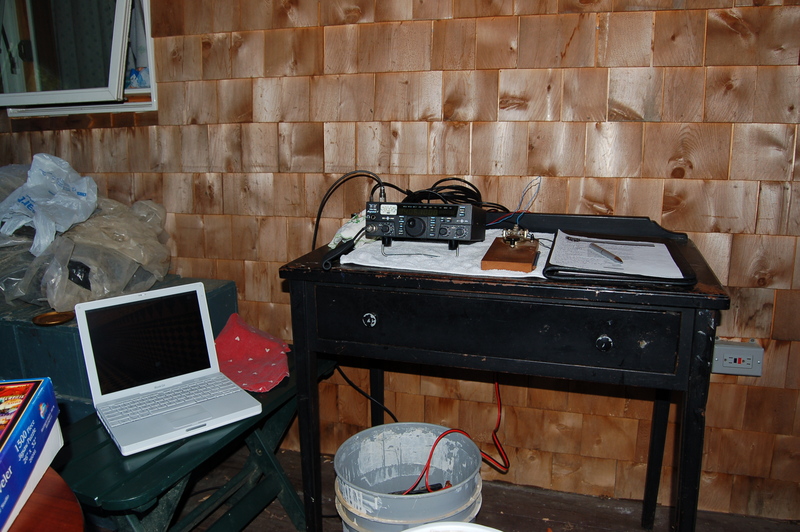 Amateur radio and QSL cards provided me with a great geography lesson. 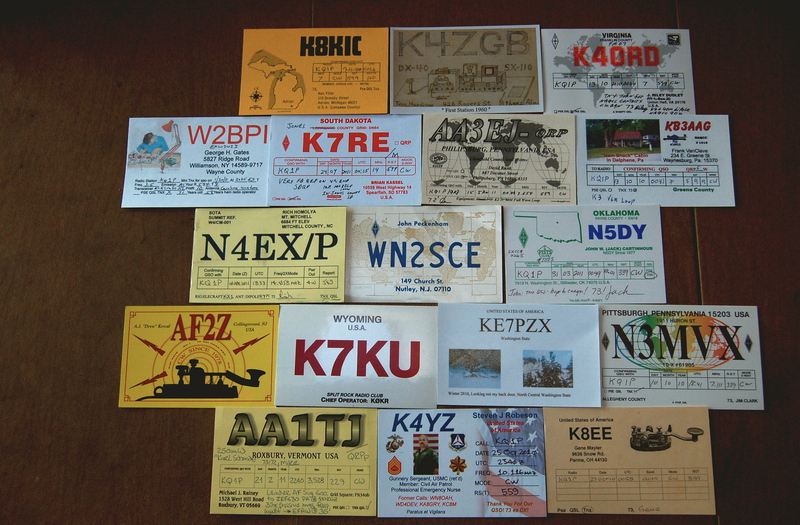 I have over three thousand of my father’s QSL cards (VE3ARS/VE3AS) from all over the world, many dating back to the 40’s and 50’s and a few from the late 1930’s. I am looking to find a collector who might be interested in purchasing them for his/her collection. I do have pics of many of them. If you know of anyone who might be interested in them, I would appreciate hearing from you. I suggest asking the RAC (Radio Association of Canada) if they have an interest or know of a radio museum that would want to display the QSL cards. You have some historic value in your father’s collection of cards.